Today, creating a vehicle capable of appealing to and uniting a wide variety of customers with ever changing expectations, simple renewal is no longer enough. Therefore, from the outset, the"A9" Project adopted the most ambitious specification overhaul ever undertaken by the Marque to create a vehicle which represents a true generation leap. 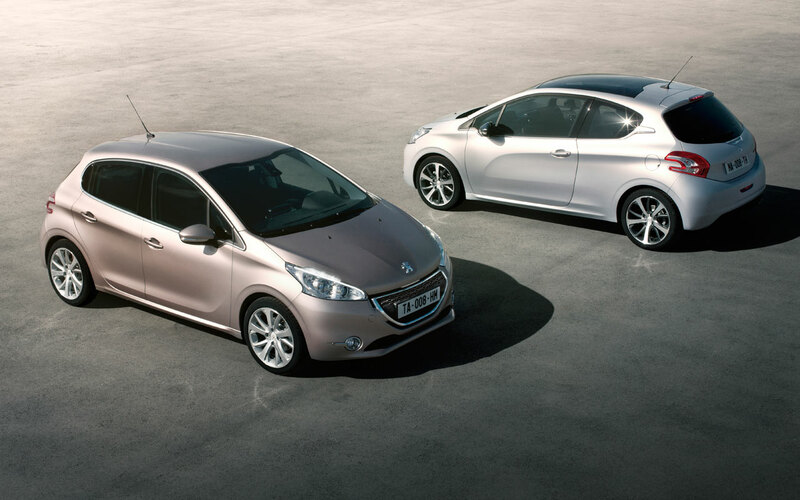 Peugeot has not hesitated to rewrite the rulebook, with the desire to reinvent the principles on which the success of icons like the 205, 206 and 207 were built and to "re-generate" them, to create: The Peugeot 208. The 208 embodies the principles of agility and efficiency. The initial technical choices make it a vehicle which is light (110 kg lighter on average compared with the 207, and as much as –173 kg! with a range which starts at 975 kg), aerodynamic (Cd of 0.29, CdA of 0.61), and very compact (-7 cm in length, -1 cm in height). These benefits are accentuated by noticeably increased occupant space, with more room in the rear seats (+5 cm at the knees) and a more generous boot (+15 dm3 in volume), proof of optimised architectural performance. The interior continues the promise of innovation just like the exterior style. A true break from what has gone before, beyond the recognised technical constraints and cultural references, the instruments and controls have been completely re-thought to become entirely intuitive and clear. 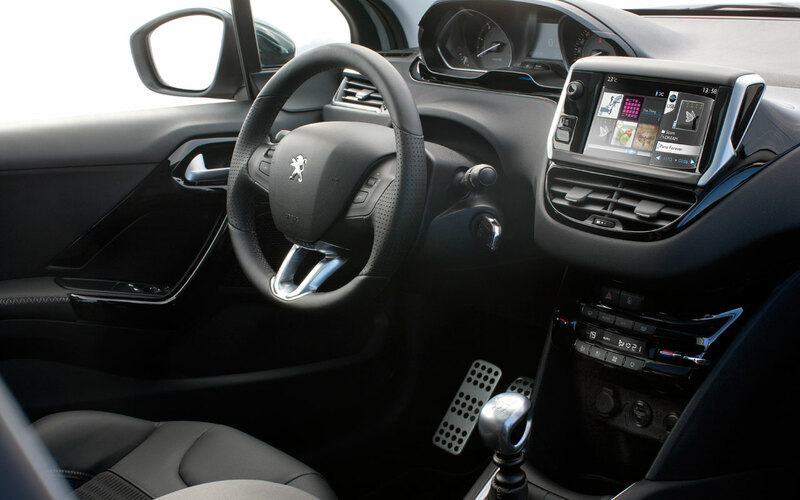 They are positioned around a small steering wheel, a "head up instrument panel" and a large touch screen. This assembly "connected" with its occupants contributes to the practicality, the safety, the quality and purity of the interior design, as well as to the driving sensations. 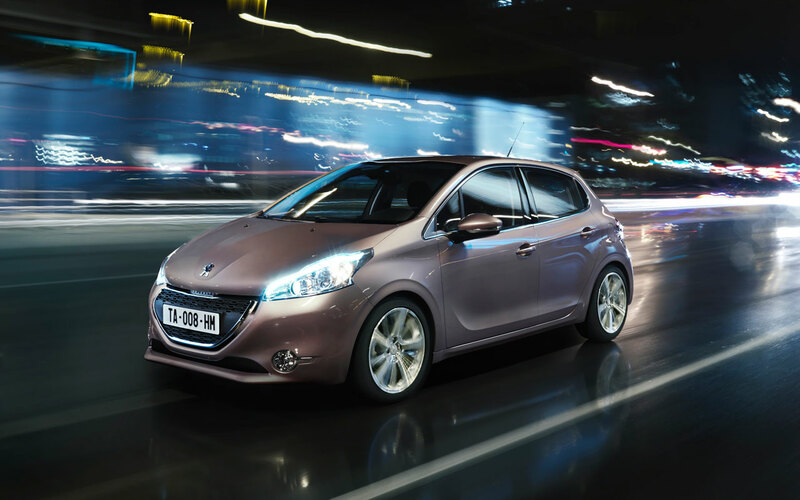 By achieving average CO2 emissions of 34 g/km lower than the 207, the 208 takes the lead in its segment. Its latest generation engine technology and the use of the e-HDi micro-hybridation system on virtually all versions add to the vehicle's improvements in terms of weight and aerodynamics. With five models, four of which are equipped with the new generation Stop & Start (e-HDi), the diesel range starts at 87 g/km of CO2, delivering fuel economy of 3.4 l /100 km and never exceeds 99 g! The 208 introduces a new range of 3-cylinder petrol engines, 1.0 and 1.2 l VTi, which are particularly efficient, with a range starting at 99 g/km of CO2, delivering 4.3 l /100 km. The 208 does not stop there. With 25% of "green materials" (recycled or of natural origin) making up its mass of polymers it enters a new era in terms of eco-design. As a world first, the rear bumper and the fan assembly are made entirely using these materials. This type of bumper alone will permit a saving in manufacturing of 1600 tonnes of fuel a year.